I was reading your article on Lucy and I just have one question. I read an article on ICR on the same issue, and they said that evolutionist couldn’t even really say the bone was Lucy’s, that it was found separate from other bones, so it could be a human bone. I am just curious I mean because I want to make sure I have the idea right. I do not even see where they can make the connection to Lucy from this bone. Maybe I read the article wrong, but I know you guys know because in my opinion you are just as smart if not smarter than evolutionist. In fact, it was found at a site that has yielded a lot of other afarensis remains. That is the famous ‘First Family’ site, where a whole bunch of these creatures were apparently buried by flash flooding (It is probably a post-Flood event, from the setting and relationship with other layers, though that is not certain). … what is more rational to believe about it [creation]; that it emanated from a rational, omnipotent, intelligent creator, or that hydrogen turned into all this with just the physical laws, time and chance? I did obliquely open up the possibility that it was not from an afarensis, if you note the picture caption. It says that ‘even that is not certain’ (the claim that this is an afarensis bone). But from a probability viewpoint, I think it safest to assume that it is likely to be afarensis. No claims of human remains have been made from that deposit, and the bone appears to have been found within a sediment containing lots of undoubted australopithecine fossils densely distributed within it. OK, it’s possible that other bones have been misidentified, etc. but probabilistically, it just seemed unlikely to me. So yes, it is always possible that it is a human bone, (given the size, it would probably have to be a child’s metatarsal). But in pondering how much emphasis to give to this (what I regarded as remote) possibility, I wondered whether it might not appear to be engaging in a bit of an ‘ad hoc’ hypothesis which might suggest to the reader that there would be a reason to worry if it were an afarensis bone. That was my subjective judgement of the matter, anyway, and I would see Brian Thomas’s well-written ICR article as just choosing to emphasize this particular possibility, rather than seeing the two articles as contradictory. Mine was ‘presupposing this really is afarensis, which I think is likely, does this mean Lucy-types walked upright?’ The answer is no, not surprisingly. Thank you so much for the response Dr. Wieland. I think it was a great article, I just do not see what all the hype around this bone consists of. From my understanding it could just be a random mutation that lead to the supposed curved bone. It does not even appear to be that curved to me. I wish I was more educated in the topic, but as a regular man I am not. I really do not see the significance of one bone if all the others point to something else. It is just like a puzzle, if all the pieces fit and one doesn’t that does not totally change the puzzle to something else. It is just a little different. I know you are busy I am just hoping for a little more feedback. Thanks Dr. Wieland! I know what you mean about the curvature not being self-evident from visual inspection, but it is also something deduced from the way the bone ‘fits in’ to where one thinks the other bones were (which is what makes it on the one hand a neat piece of detective work, and on the other hand a dangerous conclusion). I.e. it also has to do with the ‘facets’ on the bone ends which are the surfaces of where it sits up against other bones. The difference between ‘arched’ and ‘non-arched’ is fairly subtle in that regard. This diagram at the following link (sorry it’s very long, if it doesn’t work, try typing ‘fourth metatarsal’ into google images) may help, it shows how the bone in question fits alongside the other bones. People such as the paper’s authors are specialists in their field, and presumably the angles of those facets plus the slight intrinsic curvature of the bone has persuaded others that the conclusion is reasonable. But if it were not such an ‘explosive’ topic as human evolution, it is doubtful that so much weight would be placed on such a rather ephemeral bit of data, where the slightest variation (and the biological world is full of variation) would change the conclusions dramatically. Thank you Dr. Wieland for the response again, I just have one last question and I will let you get back to more important things. I am just concerned and maybe I should not be that this could help confirm evolution as an intermediate form, since it would somewhat prove Lucy walked upright. You did a good job in the article of showing why she could not have walked upright, but I am just maybe being overly concerned. I feel as if this could show the progression from ape to man. If I am wrong please tell me, I just do not know what to make out of all this. Hi, once more, Mike. Feelings of concern are valid and important (especially for the person doing the feeling), and often they do emanate from rational causes. But sometimes, being human, our ‘concern’ can reflect, for example, a subtle accumulation on our emotions of the impact of all the continual comments one hears about these creatures. These are based on evolutionary beliefs and presuppositions, and emanate from folk who are keen to find signs of them being ‘inbetween’. Let’s assume that this one bone was consistent in all these creatures. 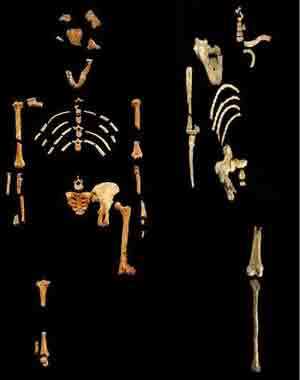 And let’s assume that Lucy’s kind did walk upright (now the article already demonstrated that neither is likely to be the case, to put it mildly). Does it therefore follow that those creatures are ancestral to human beings? Ignore for a moment the powerful testimony of the Bible, cemented by Christ’s historically well attested Resurrection. 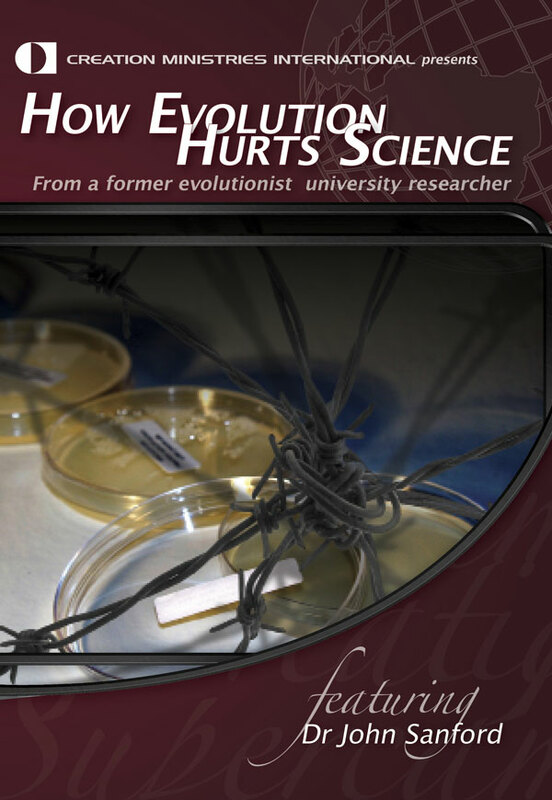 What about all the other evidence against the entire goo to you evolution story? Now look at the big picture in another sense. 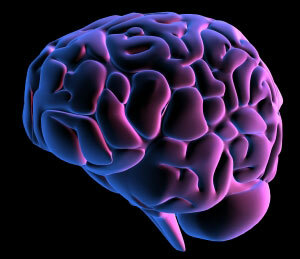 Look at the massive amount of hugely complex biological machinery in the world, including our brain that has now been shown to have more switches and connections than all the world’s computers attached to the internet; what is more rational to believe about it; that it emanated from a rational, omnipotent, intelligent creator, or that hydrogen turned into all this with just the physical laws, time and chance? It may be helpful too when thinking of the significance of ‘one bone’, to be reminded of the work of the teams led by Dr Charles Oxnard and Lord Sir Solly Zuckerman. These are evolutionists, and professional anatomists. The combined work spanned many scientists and many decades. Rather than someone looking at one bone and saying ‘that’s intermediate’, they went a far more significant route to determine things one way or the other, looking at as many bones as they were able to, over years, and measuring as many parameters as they could. Let me quote from other articles on our site; I know it’s been said in my recent one, but it’s good to be reminded in the rational part of our being so that one can perhaps see the ‘concern’ for what it is. 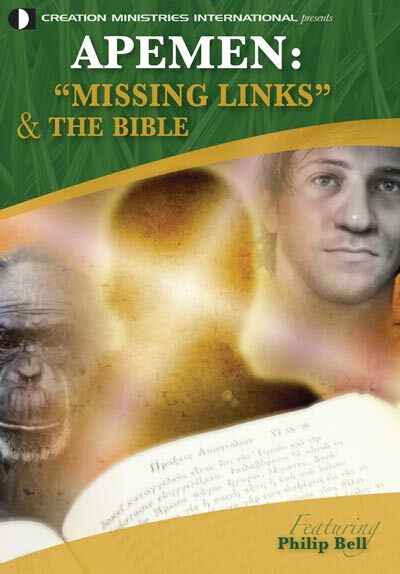 “However, the amazing thing is that the careful work of trained anatomists (themselves evolutionists) such as the late Lord Solly Zuckerman of Birmingham, and Professor Charles Oxnard of the University of Western Australia, on the australopithecines is being totally overlooked. “Using objective computerized multivariate analysis of many measurements on the bones, they (and an increasing number of other researchers who are not associated with the discovery of any of these creatures) invariably find that all of the australopithecines, grouped together anatomically, are further away from both apes and humans than these two groups are from each other. “They thus conclude that the australopithecines were a unique group of extinct creatures, not anatomically intermediate between apes and humans, so were not evolutionary ‘links’ at all. “Did australopithecines walk upright in the human manner, as evolutionists commonly claim? (The reports speculate that A. ramidus might have—if only they could find the leg bones.) No, say these anatomists, and recent discoveries of other Australopithecus bones have highlighted this further. These creatures had long, powerful arms and curved fingers suited to tree-dwelling. As I said, even if they were anatomically intermediate, all that does is give the evolutionist a candidate creature that fits their expectations. If there were no gorillas left in the world, and the only creatures found in the fossil record similar to man were modern gorillas, then being the only candidates, I have no doubt that these would be hyped as very, very significant for human evolution, seeing as they are so anatomically similar. The australopithecines are really the ‘only game in town’ for evolutionists, so one tiny foot bone will be hyped up and Oxnard’s careful conclusions overlooked. One can predict that if better candidates are ever found, say the XYZ’s, then the australopiths would quietly fade into the background, and people will say we ‘knew all along’ that these did not walk upright like humans, the Laetoli prints must have been made by the XYZ’s, etc. etc. and the 4th metatarsal would be seen as a minor blip on the radar of these ‘obviously’ flatfooted creatures. Of course. Atheism is a fairly natural thing once you started to dig in to real science. And no I do not see any science in what you refer to. Only the normal magic man arguments (together with some laughable attempts of ‘science’) which simply doesn’t lead you anywhere. Frankly, if you want to play with the big boys you have to do way, way better than that. Apart from that I am interested in religions from an anthropological point of views, that’s why I am trawling these murky waters, it is interesting and, saddening to see the amount of lack of knowledge that the type of persons who runs these sites has. It is always a bit sad when people take the easy way out and does not look for answers and truth. And it is sad because our species wastes so much talent along the way. People, who could find the next big cure for any number of diseases, build new solutions to a world that is in desperate need of rational thought and progress. In that light religion is a waste that is threatening to our world. We do not need prayers. We need doers, who have talent, knowledge and common sense and a drive to learn more about our cosmos. In the grand scheme of thing the cosmos doesn’t care whether we live or not, but we do, and I find that exhilarating. Think about what can be discovered! Just take the LHC for instance, the biggest machine on the planet, and what can be found in the vicinity of the big bang. The possibilities are endless. Have fun while you can, it’s the only life you will get, don’t waste it! If you do have a mind open to discovering the truth, then you might like to begin by reading, Who created God? and consider articles like: ATP synthase: majestic molecular machine made by a mastermind. It is the height of irrationality to suggest that the universe made itself with no cause whatsoever or that nanomachines that exhibit technology like we humans can only dream about came into being just by the random machinations of physics and chemistry without a (super) intelligent Creator. There are elements of the Genesis account that cannot be proven. Like other matters of history, these things are not open to testing with the scientific method, which involves experimentation in the present (you cannot do experiments on the past). See ‘It’s not science’. However, there is plenty of historical evidence for the Resurrection of Jesus Christ, for example, which authenticates Jesus’ claims and teaching, including that Genesis was real history. I hope this helps explain things a little and I pray that God will grant you the ability to see what you don’t want to see. Actually, there are no evidence whatsoever that support the genesis version. It simply doesn’t compute on any level at all. This is not based on faith. It is based on actual facts. Your reply confirms that you are not interested in engaging the arguments, which you neatly side-stepped. Christianity birthed modern science (see The biblical roots of modern science) and it is no accident that the most Christian nation on earth also leads the world by a huge margin in scientific progress (even out of proportion to its economic might). If you want to see what atheism-in-control does for science, look at Stalin’s Russia, where ‘religion’ was stamped out and atheism was enforced. A golden era of scientific advance? Hardly, in spite of massive state investment in science. Evolutionism actually harms science: think of the dead ends caused by evolutionary notions such as embryonic recapitulation, vestigial organs and junk DNA (search them on creation.com). These false ideas (and much more) have seriously impeded the advancement of knowledge. PS As a PhD biologist, I would be happy to debate my views on origins on any university campus.